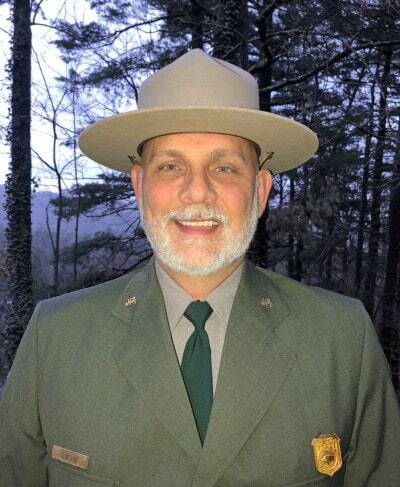 National Park Service (NPS) Southeast Regional Director Stan Austin has announced the selection of J.D. Lee as superintendent of Blue Ridge Parkway in North Carolina and Virginia. Lee is currently the deputy superintendent of Florida’s Big Cypress National Preserve. He will assume his new role on February 18, 2018. For the past eight years, Lee has served as deputy superintendent of Big Cypress National Preserve in southern Florida. A graduate of Ball State University in Indiana with a Bachelor of Science degree, Lee is a 30-year veteran of the NPS, beginning his career as a seasonal park ranger and wildland firefighter at Great Smoky Mountains National Park. He has extensive experience working with NPS staff, partners, concessioners and contractors to provide essential visitor services and a comprehensive understanding of resource preservation. Prior to his tenure at Big Cypress, Lee was Chief Ranger at the NPS Intermountain Regional Office in Denver, Colorado, leading a program staff that supported over 90 national park sites and provided technical assistance on a variety of operational issues, including law enforcement, emergency response, wildland and structural fire, and a comprehensive fee program. He has served on multiple incident management teams and is currently a Liaison Officer with the Southern Area Type 1 Red Team, which manages wildland fire, natural disaster relief efforts and other incident management activities. Lee has held management positions at Natchez Trace Parkway and Gulf Islands National Seashore, and has completed temporary assignments as Acting Superintendent of Big Cypress National Preserve, Canaveral National Seashore, and, most recently, at Blue Ridge Parkway. Both Lee and his wife, Stephanie, look forward to relocating to Asheville, North Carolina. They have two daughters residing in Naples, Florida and a son in the United States Coast Guard.